Plan a surprise for your lover on this Rose day with Winni. 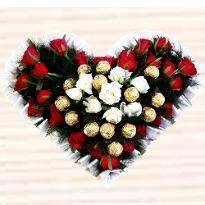 You can send Rose Day gifts online in Amritsar and get them delivered on the same day. 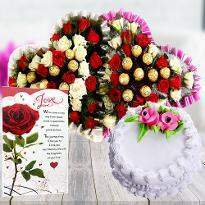 Winni offers the best quality of flowers and other gifting items that will definitely win the heart of your loved one. 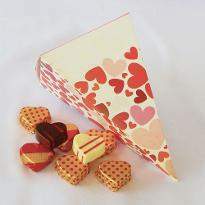 So, hurry up and place your order for Rose Day gifts now! Rose Day- The first day of Valentine’s week known for love, care, affection, respect, purity and commitments to your special one. On this day, lovers express their love and affection for someone special by giving red roses along with lovely gifts to them. 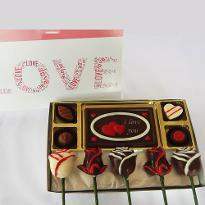 All lovers try to make this day a memorable one and gifting can be the perfect way to make them feel good. 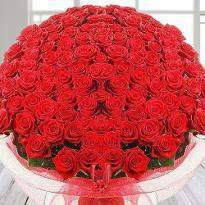 Rose Day is the most awaited time for all the lovers. 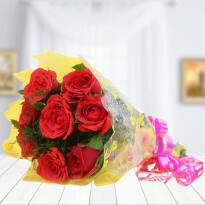 Starting from the beautiful red Rose to fascinating Rose Day gifts, all these sweet gestures from your side can really bring a cute smile on your special one’s face. 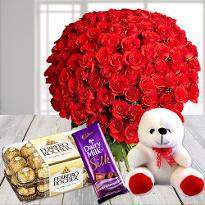 You only need to visit our website Winni.in and choose the desired Rose Day gifts. 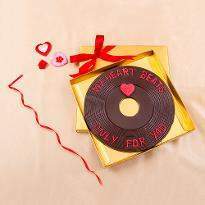 Winni offers the variety of cakes, different flowers bouquets, teddies, chocolates or gifts combos which will win the heart of your partner and make them fall in love with you once again. 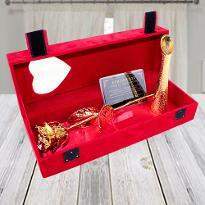 Instead of going shop, you can get an ideal Rose Day gifts from here sitting at home. Just a few clicks at your pc, mobile phone and laptop, you can place your order from anywhere and send it to Amritsar to the one residing there. 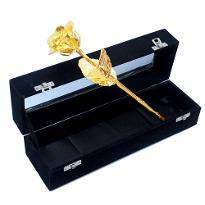 It is a piece of good news that Winni has released service of online Rose Day gifts delivery in Amritsar also. 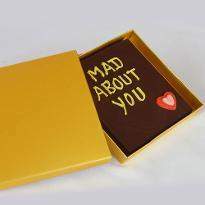 Now you can wipe the distance between you and your partner by sending Rose Day gifts in Amritsar online. 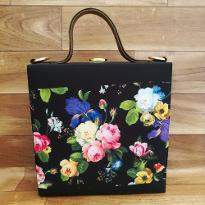 It is the best way to erase all the bitterness from the relationship and to give a new start with lovely bouquets of roses. So don't think more! 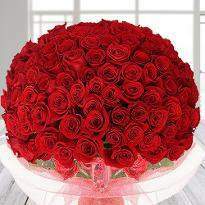 Delight each other by sending Rose Day Gifts to Amritsar to your special one residing there via Winni. 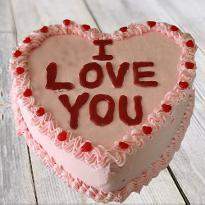 Rose Day is the perfect time to make the proposal of love towards your special one whom you love the most in your life. 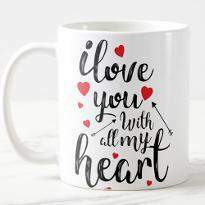 While making the expression of heartiest feelings of love, you definitely need something that can accompany your words and easily express what you really felt for that special one. 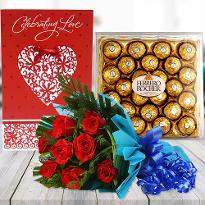 Red Rose is the symbol of love but if it is accompanied by a lovely gift then it will increase the joy of the celebration and make the day wonderful. 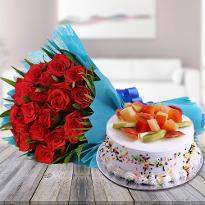 Winni offers you a huge variety of Rose Day gifts, including delicious cakes, red roses arrangements, personalised gifts, chocolates, soft toys and much more at our website to adore this special day with happiness and merriments. 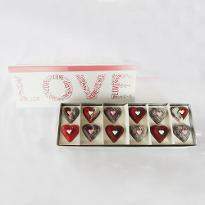 All these gifts can be the best way to share the love in straightforward ways which can’t tell by words. But what about if your lover resides in Amritsar? 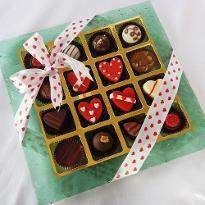 With Winni, you can now send Rose Day gifts in Amritsar and mark your presence in the form of exciting gifts. 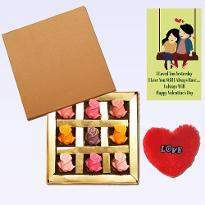 We offer the plethora of delivery options like same day, standard or midnight online Rose Day gift delivery in Amritsar that will help you to deliver your surprise at your time with complete ease. We guarantee the hassle-free online Rose Day delivery at your desired place in Amritsar at your convenient time. 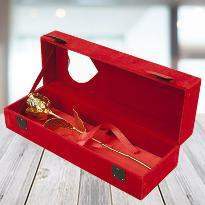 So, grab the best Rose Day gift for your special one! 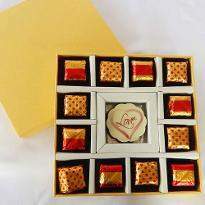 Order Rose Day Gifts online from Winni and get them delivered in Amritsar to make them happier with this sweet token of love.